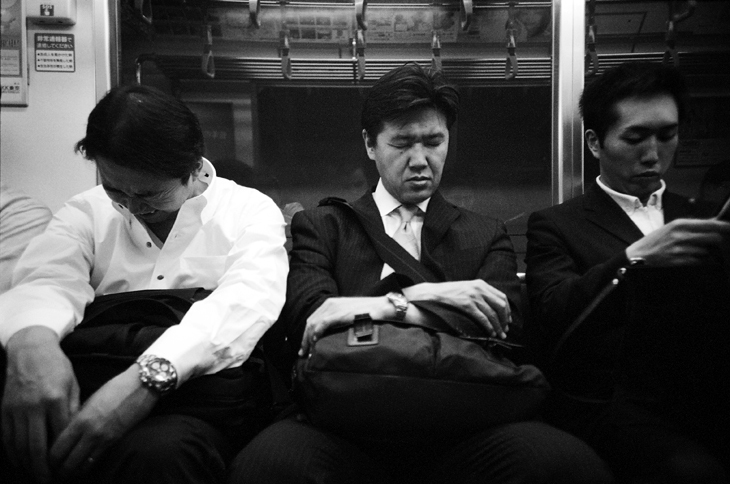 Above is part of a Sleeping in Japan series I'm working on. Today I shot again for my friend Emily's company. 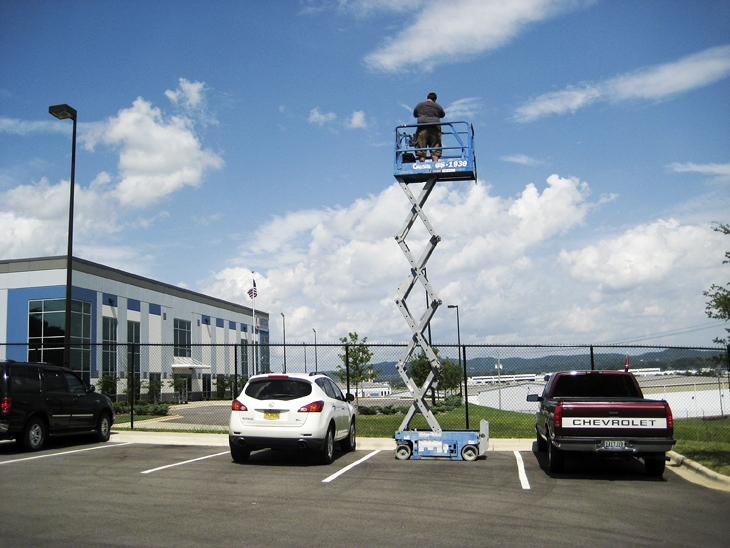 It required a freaking scissor lift. So this is me photographing two stories up teetering on some metal twigs. Here is a shot Emily took of me up there.